Ok, maybe this one isn’t so quick… but I love the simplicity of garter stitch. And the accompanying necklace is probably a quick‐make! From yarn.com. This is so very beautiful. And looks to be quite easy to make in large batches (probably also works with store bought gingerbread and cake, for people who don’t bake, like me. I know, it’s not the same as homemade gingerbread and cake, but some of us just aren’t great at baking). I especially love the ones with the gingerbread animals. From My Name is Yeh. Also in a jar — delicious soup! Just add water! Who doesn’t like warm soup in the winter? From She Uncovered. I think this is pretty hilarious, in a very festive kind of way. From Sugar & Cloth. 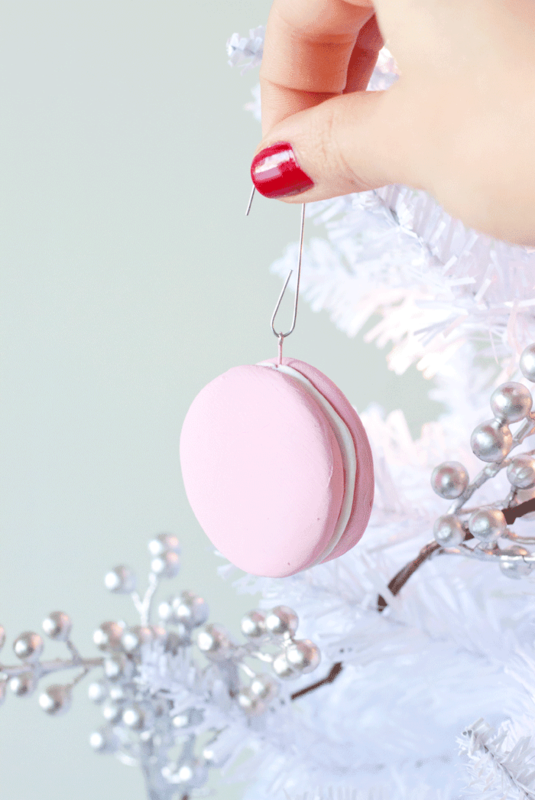 For the macaron lovers in your life. (good thing the macaron lover in my life doesn’t read my blog :P) I imagine using Model Magic would make it feel very much like a real macaron. From Adventures in Fashion. These handmade hand warmers stay warm about 20 minutes, perfect for waiting for the bus on wintry mornings. And unlike the dollar store variety they’re reusable and therefore friendlier to the environment. From My Craftily Ever After. 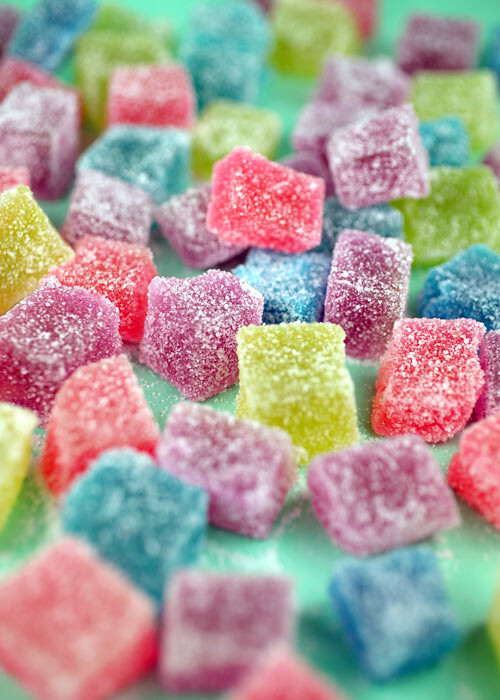 Glittery gumdrops, so cheerful, and extra fancy when they’re homemade. From Bakerella. I think these magnetic tin snow globes are genius. From A Girl & a Boy.